I write this second issue of FOOTNOTES in 2014 back home in Gryon. Deborah and I returned in early May. I was in hospital for an emergency septicemia and am well again. Other check-ups will follow. We had a fruitful time in NY, where I taught and gave lectures at Nyack College. I also taught three Adult classes at Madison Avenue Presbyterian Church. In each venue the subject was the image of God in people, not only as a biblical assertion, but in regards to the unique phenomenon that makes us persons: the brain and what it requires to make us human: thought, analysis, language, reasoning are what makes us in the image of the God of the Bible. The brain needs verbal information to form the necessary neural connections for informed rather than instinctual acts. Neurological research in recent years confirms the Biblical proposition. Being in God’s image sets people apart as choice-makers who reflect, distinguish, express themselves, just as the God of the Bible does, when he creates a specific universe and communicates to us on the level of language, concepts and moral distinctions. More about that in what follows and on page 6! In addition to these talks Deborah and I had frequent meetings with people for lectures and discussions in the Foundation apartment. Friends and former students enjoy the possibility to explore ideas, to discuss films and to consider responsibilities for changes in our wounded culture. We visited our most dear and oldest friend Ted Smith and his wife Gladys and family three times before Ted died at the end of April. We had met them when we first came to St. Louis right after our wedding 50 years go. They were artists in all areas of life (for that reason I dedicated my most recent book “God and Man at Work” to them) and a bright light in our surprise and disappointments with American church life. They reached out to us, having found few in their own community who wrestled with the pursuit and practice of beauty, questions of civil rights, the poor, human existence and Scripture: i.e. questions about the purpose of life itself. They used their home to start a fellowship of ideas, art, study and faith which for years welcomed and served many who needed more than what church commonly does. Together we saw “Monuments Men” and were thankful that the military command in WW2 saw Art as human inheritance to be saved from destruction in war . Our cultural roots in the Bible give much importance to creativity and to the life of individuals. Both a person’s life and art are irreplaceable. Other cultures with a more cyclical outlook show much less concern for such details. They have traditionally little interest in museums, biographies or ways to honor and protect a person’s life. Following the Bible, people and their life, not a historic flow or tribal/national attachment matter. The details of each person’s life are our concern. They are the means to being someone significant, while concerns about ends to reach often neglect the importance of daily life. Ted died at home under hospice care, receiving morphine without the need for a pain killer. Such practice is also advocated in many Swiss hospitals. In my mind it replaces the sharp distinctions between life and death, which the Bible had given to Jews and Christians in the first place, with an inclusive passage like migrating birds, an overall and impersonal phenomenon that is called life. “Therefore choose life” was the Biblical admonition. Death, always considered an enemy and violence done to each person in the unity of body and soul, is now presented as the next experience in life, a different season or phase of existence, a transition made smooth with the help of morphine. That view arrives with the religious ideas of the ultimate Unity and cyclical nature of “Being” found in Eastern religions. It is supported by Christians who see heaven as the real and lasting home. Since when is that part of what Christians, whose text starts with God placing people into creation, believe? The three months in NY with its many beautiful, often provocative and always instructive free offerings gave us much for mind and soul and body. At the 92nd Street Y we heard Simon Shama present The Story of the Jews and David Brooks speak about his wonderful ideas in The Social Animal: The Hidden Sources of Love, Character, and Achievement. Regularly we attended services with two Bach Cantatas each Monday at one o’clock at Trinity Church, and Vesper services with another Bach Cantata in a Lutheran Church on Sunday evenings. We also enjoyed walking through different departments of the Met several times. In the Historical Museum of NY we saw the paintings of the original Armory Show of 1913, once again brought together for a centennial. You may remember Dr. Schaeffer’s comments, how much the original exhibit influenced modern life and thought. It was the first time that Americans, familiar with realistic art, were introduced to such experimental styles as impressionism, Fauvism, Cubism and futurism. All these movements in art brought to our awareness the limits of our perception, the subjectivity of all assertions and the need to be both more critical and more honest in our knowledge of the world, of people, and of God. Exposure of our secure assumptions to such stimulating challenges is often troubling, but also beneficial. It constrains us to honestly face their limits, for our beliefs and assumptions are founded (hopefully) on good grounds, but they are always only “ours”. They are always in need of some adjustment in light of further insight, surprising and at times troubling new situations, and finally because we at present only see ‘as in a glass darkly’. Our belief about anything should never be totalitarian or closed; instead we continue to learn, to weigh new propositions, to compare our views with the reality of life’s experiences, and then wait to have things made clearer. We hope to learn by discovery, not by repetition. Even those who have said: “Lord, Lord” may not be known in the end by the Lord (Matthew 7:21). This willingness to consider new ideas or insight was one of the reasons why people felt welcome and accepted by the Schaeffers. They were eager to review their point of view, and therefore often puzzled when people they had known for years only ever repeated what they had already believed for years. The real world with homeless people and beggars in the street; interesting authors reading from their works; the account in American Promise of two middle class black families in their efforts to give their children a better education in a predominantly white private school; Deborah’s conversations with people while sitting on the floor for hours in line for rush tickets to the opera; or on the sidewalk with young people asking for financial help; dog walkers with their many mutts, and Nannies with other people’s children, while talking on their cell phones instead of to their charges; single parents using up their weekly visitation rights; the remarkable decision of the US Army to assign museum directors to mark and protect art works from destruction and to recover what Hitler’s charges had stolen, since they belong to all of us and need protection. Thoughts awake and stimulate our minds, challenge what we said yesterday and help us become more honest, less threatened and more compassionate. They work on our minds and then get included in our lectures and discussions, in political choices and moral outrage. We gather ideas, but attempt to avoid ideologies. As people and Christians we cannot withdraw into our belief and hide from engagement. As a culture we do that already when we hide from moral calamities, such as delegating to private companies the incarceration of the proportionately largest number of prisoners in the world: Five percent of the world’s population locks up 25 percent of prisoners in the world! That is the result of revengeful rather than restorative justice efforts. There is something profoundly wrong with the way ideological beliefs conclude with practices which prevent the search for improved ideas to address the many social and economic problems of a people. Ideology is always the belief in owning the final solutions, in ‘one size (mine) fits all’, in one’s exceptionalism. Enriched by the give and take of those three months in NY we are now back in Switzerland until at least the end of the year. Almost immediately after our return I taught my course on the nature and effects of Postmodernism, its philosophical origins under the influence of the Frankfurt School of Philosophy. It proposed perpetual critique of every norm and perception in light of the unreliability and uncertainty of human knowledge. It arose initially out of a program to undermine Western certainties and definitions inherited from Christianity about education, sexuality, religion, gender differences and ethnicity. It was intended to replace Marx’s revolution by the working class with an intellectual, social and spiritual revolution. The search for the ‘radically new’ was made easy and supported by growing awareness of un-truths: propaganda, the biased and non-objective reporting of news, the manipulation of knowledge for ideological purposes and the amount of corruption practiced in society when no judgment is expected. As the public realized how unreliable and deceptive the presented ‘truth’ is, whether in school, in the media, in politics and in church, all norms and concepts became understood to manipulate the weak for the benefit of the strong. Consequently, every notion of truth must be undone, every social practice reviewed and every definition made relative. C. S. Lewis pointed to that when he observed that it has become almost impossible to believe in truth when there are so many competing ideologies and, among churches, denominations. For, the mentality about there being no certainty is also increasingly, though in a subtle way, found in church. When faith is made so subjective, and feeling is emphasized over discernment, the question of truth is hardly kept in mind. Bible studies rarely study the Bible; more often they reveal personal opinions, private doctrine and how one “feels” about the text, what it tells me personally. Yet Scripture is a whole, unified explanation of God to us outside the Garden of Eden, in a fallen world, where we need to put the puzzle of life together in light of the text (about creation, history, human nature, wisdom, hope of redemption) and human experience. Truth is something more than what is personal, i.e. true for me now, or the doctrine of my church, or the fellowship with friends and relations. Unless needed effort is constantly in my mind, the result will be, philosophically and also practically, an inclusive, relativistic view and then final denial of truth. Human existence then no longer stands out, but is lost, like a drop of water in the ocean. Where nature dictates in scientific evolutionary variations, changing personal preferences and feelings dictate belief and practice. One’s commitment becomes accountable to nothing and no one but one’s autonomous self. The structures or commands contained in reality (“created according to its kind”, our scientific laws) and the moral laws in Scripture are denied: To love my neighbor as myself becomes a nice idea, when in fact it is a command with consequences, just as tithing, or theft, or murder are not left to subjective definition! Increased access to selectable information, education diluted by single projects (rather than an increasing network of insights), the emphasis on personal choice, and the benefits of greater availability of unexamined resources do not only question authoritarian powers of past generations, of church and state. They controlled in the past what people thought and did. We are thankful for change and praise the introduction of doubt as a means to clarify what is believable. But they also contributed to the belief that there is no objective truth, reality or rule; i.e. that everything is only true and real ‘personally’, i.e. when it is relevant to me presently. Perception of itself alone remains, not perception of something. 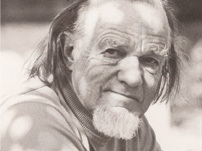 In Dr. Schaeffer’s understanding that is only “faith in faith”. Of course, reality is always more powerful than any interpretation of it; and neither God nor reality exist or disappear on the basis of what we believe. People now use permanent uncertainty to justify their autonomy. Yet, reality is always there, and every dreamer must eventually wake up, every bill will have to be paid. Likewise the social, moral and economic problems are of our making and will not diminish until they are addressed. 25 years ago we were told to believe that Soviet, and with that all other totalitarianism was finished. People would now embrace the fruits of liberalism, democracy and personal freedoms. Everyone will finally be able to use his abilities in open societies, among friendly neighbors and participate in market economics. It was seen as the end of the history marked until then by conflict and enslavement. We observed again that real freedom is only derived from the Bible. God is not the all-ruling power behind events. Human beings contribute significantly to changes in history. Each person is made in the image of God, mandated to create, to repent and correct, to invent, improve and alter what is possible. History is a record of things that happened, but were often neither necessary nor inevitable. Of course totalitarian forms do not evolve to liberty or freedom. Instead, people and cultures follow or change their basic philosophic outlook, the view they hold of first and final things. God, matter, belief, the view of life and place of persons in the universe all weigh heavily on the views people pursue and put into practice. The response to rapid expansion of freedoms is often fear from a loss of familiar patterns. Not surprising then that many search for greater cohesion, greater security of belonging in a competitive world. Attachment to gender, national, religious groups often unite and enslave liberated people in common hope as well as well as in common resentment. Instead of the end of competitive history we today face more totalitarian onslaughts against the spread of freedom; fewer open societies under democracy and more ethnic/nationalistic and religious identifications. In response to the excess of greed and the corruptive use of economic opportunity, with reference to Adam Smith’s book on the Wealth of Nations (without attention to his second work about the need for Moral Sentiment), people and societies seek the certainty and controls of tight, defined and in that sense reliable totalitarian identities. With the spread of greater wealth for many, a liberated larger public is often disappointed and neglected. They use their experience of freedom to call for greater controls by an imposed structure. Nationalization in economics is matched by a call for religious and ethnic nationalization. Calls for redistribution of wealth is reflected in the call for national autonomy. A larger part of humanity seeks to find its identity in totalitarian, i.e. national, religious, geographic certainty through separation and isolation. Instead of an end to history, totalitarian ideas and governments are increasing their presence and power. We make a mistake when we assume that liberty is so desirable that it will blossom when opportunity is given; that withdrawal from its defense engenders an immediate spread of freedom. Freedom cannot be imposed by force, neither does it flourish when a forceful defense of liberty is removed. A vacuum is always filled, but not always with what is intended. We see that with Mr. Putin in Russia. He returned to iron controls over everything that might smack of free intellects and cultural alternatives. He has closed down exchanges of ideas and silenced the media. He appeals to nationalistic, religious, geographic and ethnic values and minimizes the value of the individual human being. His view of moral purity becomes a new form of immoral impositions. His view of law undergirds illegal actions for reasons of an imperial state. The parallel to Hitler’s appeal to land, blood, ethnicity and purity as part of a national identity is obvious. These are pagan links to nature which abolish the high view of people in the Bible, linked to God. Hitler did promote a German Christian Church (to fool the world of believers) as Putin does the Orthodox Church, but both are here political entities, distinct from the New Testament church. Politically, the parallel to Hitler is found in the way Russia absorbed the Crimea to protect “Russian interests” which he had previously riled up and armed. Hitler demanded Sudetenland, part of Czechoslovakia, to protect German interests there. Putin’s regret over the collapse of the Soviet Union parallels Hitler’s search for Aryan ‘Lebensraum’ (space to expand). Even Putin’s accusation of Nazi influence in Ukraine follows a classic Russian pattern. National Socialism is a fascism, the central evil against which Stalin’s murder of millions of his own people in the name of International Socialism was accepted as a necessity. Yet Putin uses the very marks of Nazi identity: blood, people, land, religion, nationalism to justify his illegitimate aims. Like Hitler in Germany of the 20s and 30s, Putin uses the experience of disdain for Russia’s social and intellectual failures to claim what he considers Russia’s rightful place in history: respect and admiration for more than gas and oil! The breach of treaties, a violation of UN charters and the Budapest Protocol of 1994 follow the same pattern. Absurd reasoning, double speak, words not matched by actions in pursuit of totalitarian, nationalist and ethnic aims never require, not leave room for review. With Putin’s view that the greatest tragedy in the 20th century was the collapse of the Soviet Union (not WW 1 or 2, not Stalin or Hitler’s holocaust or Mao’s program of mass starvation) does he intend to put it back together and march until he sees Mrs. Merkel in Berlin? Is his pursuit of homosexuals not cover for claiming purity and the moral high ground (as Hitler did, burnt books and destroyed what he considered ‘decadent art’, while Göring collected it). So far we seem to have given it all to him to protect our economic interests. We have already said that we will not stand in his way in any really forceful and condemning manner. Yet liberty may be threatened in many quarters by too much insistence on our liberty. Withdrawal from responsibility only carries the conflict to other areas, unless a fundamental change in world views occurs. We may be tired of it, but may not find opportunities to rest. Failing to oppose evil does not make it disappear, but allows it to flourish. The spread of Islamic nationalism is a further totalitarian violence to people, intellectually and physically. Totalitarian is also China’s unilateral claim of large areas of the South China Sea; and yet another government in Egypt, and the present ones in Syria and Iran. History is then not a smooth, divinely directed passage of people through events. It is a record of situations which demand moral forceful interaction by persuasion, by action, and drawing lines to protect the space for people. Totalitarianism is always an attack on what is essentially human: the rightful place of individuals to make responsible choices. Christians do well to not form their own version of totalitarian beliefs and then impose them on their neighbors. God did not abandon or destroy Adam when he made his terrible choice. Physical death followed only after many years, and moral death was repaired in the relationship God maintained with Adam and Eve all the days of their life. God did not kill Cain, he even protected him for years against those around him who thought they would take revenge for his murder of Abel. You may remember that the Foundation house “Mon Abri” needs considerable work to repair an old and now leaking water main. It replaced the outside fountain about 50 years ago. Now it has become brittle and needs replacement. The roof as well is in very poor condition with rotten beams and broken clay tiles. We mentioned this before and have received gifts of about 20% of the estimated cost. Please consider these to urgently needed repairs and think of ways you may be able to help us. The chalet was built in 1682 as a farmhouse for two families. We have a library and study room in it, as well as four little apartments to welcome students and guests. We did considerable work on it in past years. It now has heat and shower/ bathrooms. Previously toilets were accessible only over the outside landings! I will oversee whatever work we will be able to pay for. This fall I will again teach students from Pepperdine University each week in Lausanne. The course is one I design to introduce the students to the wider consequences of the teaching of the Bible about human significance, moral obligations, social responsibility and the rule of law. They became central as a result of the Reformation’s new access to Scripture. A dirty, miserable, largely poor and spiritually and economically exploited people became what we now call “The West”. The Bible raised our awareness of individual calling, of responsibility, creativity and compassion, as well as the rule of law and the virtue of life as human beings. The whole structure of human rights concerns, of social responsibility for more than my kin, of the focus on education, law and valuable skills in the mind and with hands is related to the teaching that Man is made in the image of God, loved and wanted by God, purposefully existing with a life that continues forever, even while we wait for the resurrection. You may recall my summary of Paul’s teaching in Thessalonica. At the end of the 1st chapter he is glad to hear that the believers had turned from many idols to the one true and living God; how they were waiting for Jesus in linear and advancing history, whom God had raised from the dead as evidence of continuous physical life; and how by faith in him they would escape the coming judgment from God over people’s moral choices in history. Unhappily I had to cancel the by now traditional long weekend in Germany, where we were going to consider what I think is related to the wonder of Man being made in the image of God. A little lower than the angels, but with authority, etc. This is not merely a confessional point or a social construct, but of the essence of being human. Not only does the concept of “being in the image of God” require a certain know-ability of the person of God. God is not the great unknown, the mysterious ‘totally other’ of some theologians. He is hidden, but not silent. He is there and at work for redemption. He is the ‘true’ (which must be able to be figured out in debates with God, in complaints, in worship, in the study of the texts he has seen written to us, and in his Son, the express image of the Father: Hebrews 1:2-3) and ‘living’ (active, source of life, power of the resurrection) as St. Paul says. In God we live and have our (lively) being. That “image of God” in Man also explains us, male and female, as beings with minds, with the need for information, full of questions and enterprising inquiries. God speaks in sentences that need to be understood. Understating must be discerned, argued over and with. The thought categories of the human mind do not divvy up reality into mental constructs; instead a structured reality is described and discovered by the grammar of our mental abilities. No wonder that God hands us a text, addressing our minds, pleading with us to seek and understand, and to believe on the basis of good and sufficient evidence. It is not surprising that Man in the image of God is found confirmed by looking at the workings of the human mind. The brain requires a certain structure for the mind to function. Studies of the developing brain over the past few decades show us how the neurons and transmitters attach themselves differently to the dendrites (finger-like extensions) of other neurons to pass along information and to make thought possible, and knowledge retrievable. The neurons of the brain are both information demanding and information emitting. They respond to external stimuli. However, their arrangement or the location of their attachment into chains depends in a significant amount on whether that stimulation arrives from verbal or visual communication. Visual impressions are powerful, but in a way disconnected from meaning. They are immediate and require no history or comprehension. There is no tension, no unresolved explanation that requires patience for pieces to fall into place, while verbal information gives and requires comprehension. A sentence is not understood until it is finished. Explanations follow a logical progression. A text is not contained in a single word. It sets out a sequence of interlocking bits of information, each elaborating and clarifying the others to communicate meaning, context, precision and logical sequence. All that can only take place outside the womb, after birth, by means of conversation, being read to and learning to speak. It is an acquired ability in contrast to the instinctual abilities of animals or a child’s response to sensation of color, sound or taste. Gaylin says that the human person at birth must become human by means of being spoken with, having reality explained, being read to and learning to think, to wait, to connect words and sentences with experience of reality, of love, eye contact and conversation. Healy gives us the evidence that the brain requires precisely these things in order to develop into a tool that rational thought, moral discernment and critical thinking require. When the neurons arrange themselves in response to visual stimuli a person is able to be emotionally excited, responsive, and agitated. The capability to weigh arguments, to seek wisdom, and to be responsible is much more difficult for a person who is not trained by constant conversations and reading to think things through, to wait before responding, to consider more than the momentary sensation of pleasure or pain. Knowledge and wisdom come from insights into the various interlocking components that make up reality: information from and about the real world; reflection, memory, association between the different areas of knowledge; language and meaning; and an educated conscience. That confirms as well that we are in the image of the God who thinks, acts, reveals truth and expects us to do likewise. His conversation is in a text, his Spirit reminds us of truth, his Son came to explain in word and by powerful acts. The Son spoke with an authority that amazed people because it made sense to them. All this raises questions about the damage from visual over-stimulation on our sensation-demanding way of life? How do games, advertising, education reduced to school projects and role playing, and the event-focus in so much of life effect the structure and working of our brain? How much of life, of education, of church, of progress and enjoyment stimulates sensations, but bypasses moral and intellectual discernment? The focus on sensation, on novelty, on various forms of agitations stimulate responses, but do not nourish the necessary attention to moral, aesthetic and practical discernment. Overstimulated children and adults will be frustrated in situations in which reasoning, attention to details and even such concerns as wise choices (as in shopping or in human relationships!!) are essential to the continuity of ourselves as people and our choices with their consequences. Stimulation without reflection leads to instinctual responses. But people are intended to be rational, accountable, and responsible, i.e. able to give a response: why, what, with what purpose and consequence? A powerful illustration for the neglect of such responsibility was presented in an advertisement during the Sochi Olympics: a successful man races through his living room, barely notices his children, gets into his new model Cadillac and drives off, while all along brashly promoting his superiority over European achievements, work habits, vacations and life well lived. He rejects these, his children, his family life and the quality of European cars in favor of the new Cadillac. His ilk is about going to the moon and going there again. Without regret or shame, he demonstrates the person who has no time to live in the home he paid for, no time to talk to his children he made, no appreciation for the human workmanship and design efforts of the cars his Cadillac competes with. Important to him are powerful sensations, not the benefits of a well-reasoned and well-chosen life. In our discussions we repeatedly notice an ideological focus in politics and in theology. With this I designate what looks like hardened positions in people’s minds. Ideologies are pictures of ideals in the mind, perfect conclusions which are unaware of an always much more complex human situation. They are unconcerned about the reality of life, of people and human history, even in theology. Politics should be concerned about life in what in Greece was called the ‘polis’, i.e. the welfare of the city and its citizens. Theology should discover, explain and then apply God’s Word (the ‘logos’ given by the ‘theos’) to all areas of life. Yet, all points of view and subsequent decisions are always subject to personal experiences, specific backgrounds, and such things as desires, interpretations and motivations. Human perception, of both the real world around us and of the meaning of any text and the Scriptures, is always colored by many factors and not (ever yet) objective. Our difficulty of being finite must somehow be reflected in our presentation. The Bible tells us of “searching the Scriptures” and of “asking for wisdom”. It is a fat book, in part because language is a limited means for telling things. That should restrain our totalitarian tendencies, our fundamentalist absolutism, the attractiveness of “being (and acting) like God”, which was the first and is the most consequential sin (Genesis 3). Totalitarianism is an ideology! Totalitarianism is found in the areas I mention above. It is also present between traditionalists and modernists in efforts to establish a conservative or Christian exclusivist government anywhere. We are not “like God”! Our effort is always patchwork, we see only a little further than the end of our noses. How dare we take totalitarian positions in the ‘polis’ now on issues like poverty, marriage, and property, when Christians took similarly totalitarian positions in favor of slavery, denied the rights of women, welcomed the death penalty, imposed conversion and baptism, and fight for the right to bear guns? Or insist that God wants us to believe in 6 days of 24 hours for creation. Christians have blessed cannons and war, just as Orthodox priests do these days in Ukraine. We are not God, and should not act and decide as if we had the last word, the final insight, the best program, the true judgment at all times. We believe God and attempt to follow Jesus. We don’t finally know what is good, only what is better on the way to the Good which God will one day recreate. We don’t know all the consequences. We don’t know the unknowns, but know that there are many! Interestingly, the Ten Commandments tell us not to do evil. That alone already requires much effort, and what remains for us to do is pretty good at best. God alone can bring in “The Good”. We don’t have or fully know it yet. The present is and will be imperfect, abnormal; Neither nature nor history by itself reveal the nature, will or mind of the person of God. The express image of the Father is the Son, Jesus Christ (Hebrews 1: 2, 3). He was no fatalist, neither did he approve of what happened or what people did. He repeats the one great command to love God with all our hearts, minds, soul and strength, and our neighbor as ourselves. That is quite a task, sufficient unto itself, as the “common normal” is in fact abnormal, in need of our critical discernment and judgment, of resistance and repair. In distinction to all fatalism (another form of totalitarianism!) the Bible has encouraged us to think in terms of moral obligations; much remains to be done in that area. The fragmentation of the present, the insufficiency in everything, the unfairness of it all, will be abolished when God again will reign on earth as he intended from the beginning. I will write the next issue of FOOTNOTES in the autumn. Until then, warm greetings to each of you. Robert Edsel: The Monuments Men: Allied Heroes, Nazi Thieves and the Greatest Treasure Hunt in History.